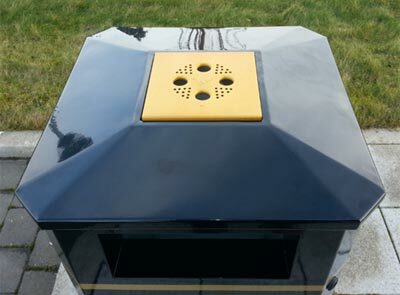 The Invicta is a traditionally styled outdoor metal litter bin which is ideal for most external areas such as parks, schools and leisure sites. The use of high quality materials provides weather and corrosion resistance and a long service life. 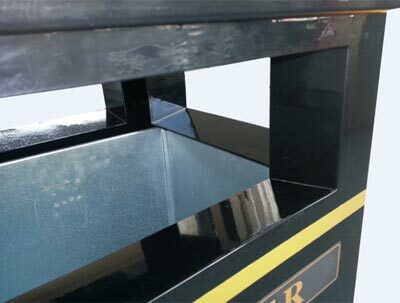 The Invicta Litter Bin is manufactured from 2mm thick mild steel with Armotec™ coating which offers a strong and robust construction. The Armotec™ coating provides additional weather and corrosion resistance compared to standard powder coating methods. This use of high quality materials offers excellent resistance to coastal sea spray and annual road gritting salt, minimising the requirement of refurbishment and maintenance. 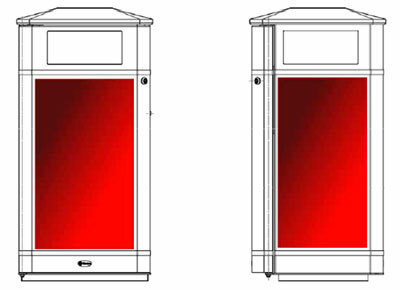 Ideal for any external environments such as recreational areas, parks and town centres, the Invicta has a large capacity and four large apertures for ease of use and less frequent emptying. 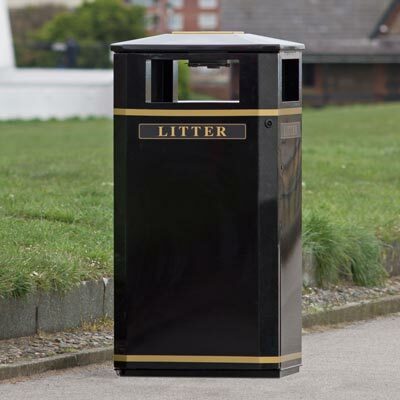 This metal litter bin offers large personalisation areas for your organisations logo or branding. 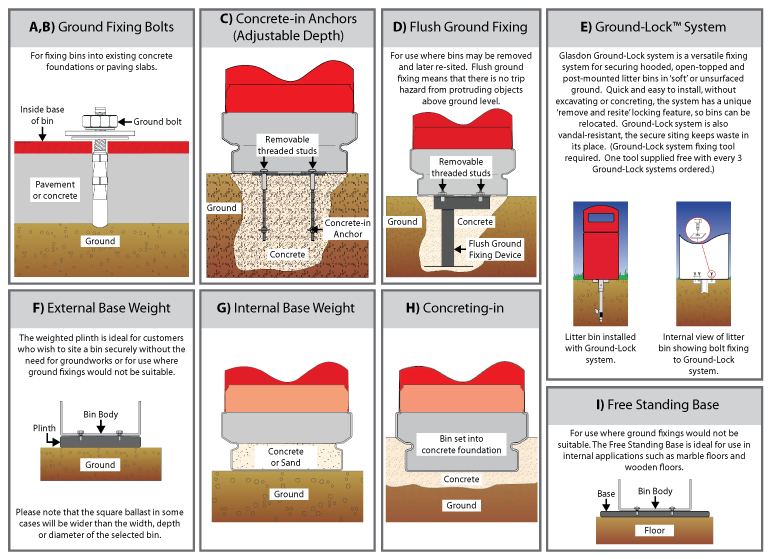 Ground fixing bolts for concrete are supplied as standard. Traditional style to co–ordinate with any environment. Strong and robust Armotec™ Coated steel construction for long service life. 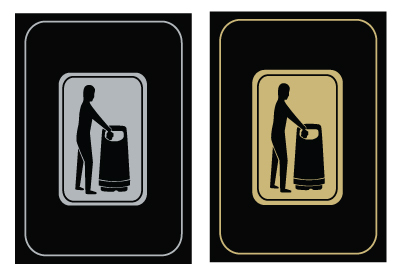 Four large apertures so litter can be deposited from all sides. 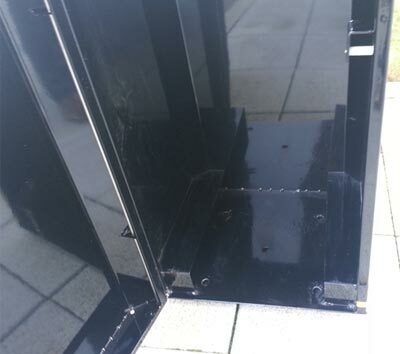 Sloped aperture shelf to prevent litter build up. 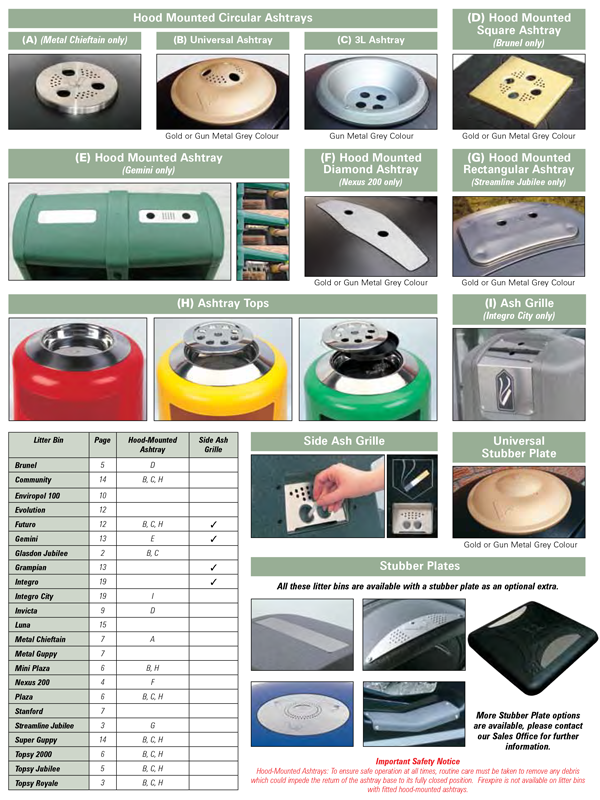 Large capacity durapol or galvanised liner. 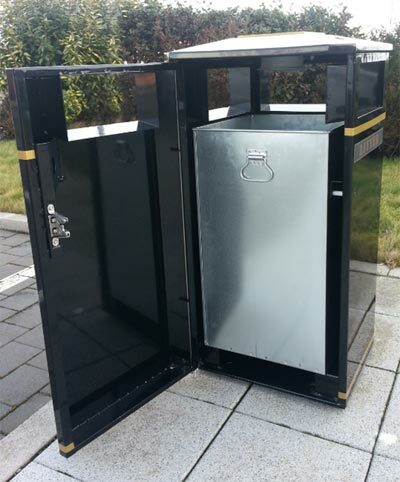 Full length door for ease of access to the liner and safe manual handling. Corrosion resistant stainless steel hinge and lock mechanism. Anti–burst slam lock which is easy and quick to use. Chamfered hood to provide strength and deter litter being placed on the hood. Personalisation areas for your logo or branding. Optional hood mounted ashtray and stubber plate. Robust base and raised liner shelf. 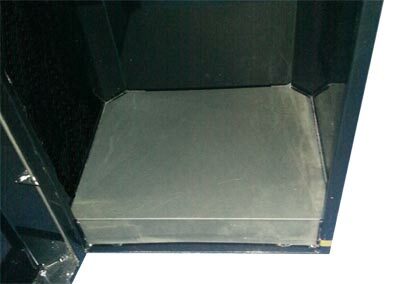 Polymer base tray for ease of cleaning and corrosion provension.